Wants to be always connected online for very affordable rate? Be practical! 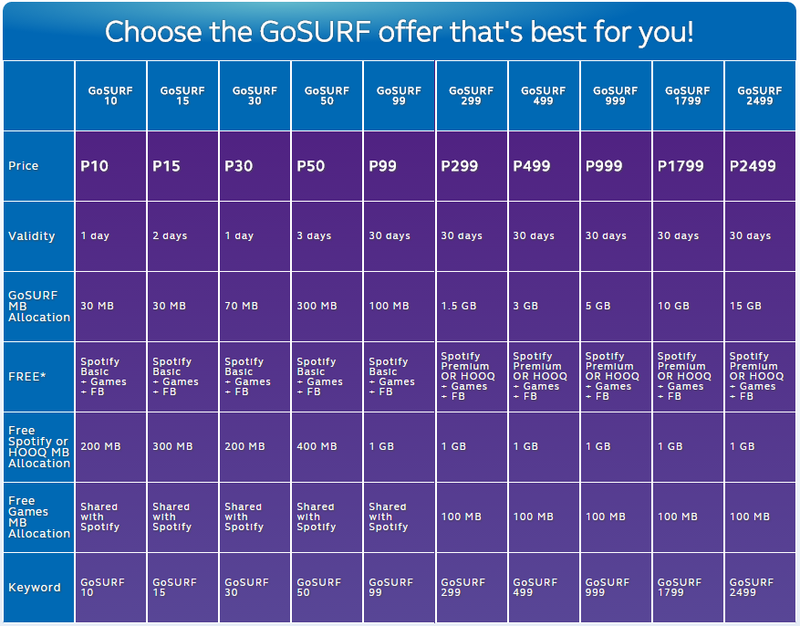 With Globe’s POWERSURF, SUPERFB, and GoSURF prepaid plans you can visit your favorite sites and apps on your mobile phone anytime you want. Plus the GoUnli and GoALLNET plan allows you to enjoy the power of combos with Unlitext, unlicalls and mobile surfing for as low as P25 a day. With GoSURF and Spotify, you can use Facebook while streaming the latest hits, go running while listening to your Get Pumped Playlist, discover new music and artists, create unique playlists, share music with friends, chat with other users, and more—all on your mobile phone! UNLI Calls to Globe/TM and UNLI ALLNET Texts, plus FREE UNLI CHAT with the best Chat Apps for only P30! To register, simply dial *143# and choose GoSAKTO! You may also register by texting GOUNLI30 to 8888. REGISTRATION: This promo may also be availed via registration for the 1-day variant. Subscribers can register by texting ALLNET25/ALLNET70/ALLNET200/ALLNET300/ALLNET500 to 8888. 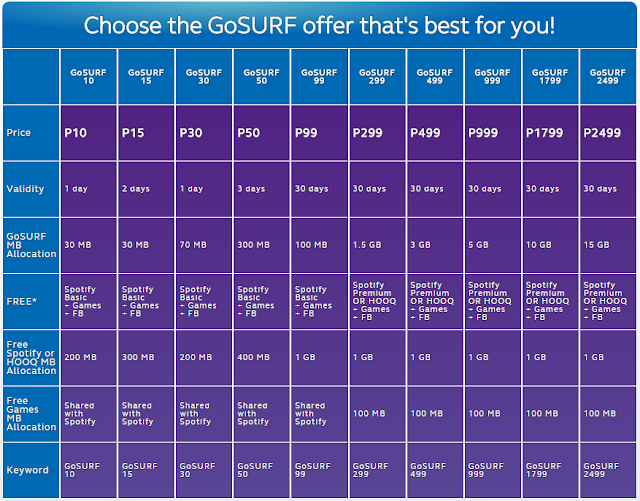 To learn more top offers from Globe just simply dial *143# for free!